Dingmann Funeral Care Burial & Cremation Services is a full service funeral and cremation establishment. We are able to meet all your requests. We encourage you to express your expectations and preferences; we promise to listen and do everything we can to meet and exceed those expectations. No request is too large or too small. A traditional funeral usually includes a viewing that is held at a scheduled time, follow by a funeral service. Services can be held at a church, at the funeral home, or at another setting of your choice. Following services, a burial and reception usually take place. A traditional cremation service is similar to a traditional funeral service, except that cremation takes place after the service instead of burial. Rental caskets or cremation caskets are available for public visitations. There are many options in the final disposition of the cremated remains, including burial, entombment, scattering or keeping the cremated remains privately. A memorial service is any formal service that is held without the presence of the body. Memorial services often follow cremation, burial or entombment. A public or private viewing is still an option with memorial services. When a graveside service is selected, the formal service is held at a cemetery instead of at a church or funeral home. A viewing, either private or public, may or may not be done before graveside services. Direct burial is available to families that do not wish to have services. Final disposition takes place by burial or entombment at a cemetery as soon as possible. Flame Cremation can occur at any time, before or after a service, before or after a viewing, or without any service. A new form of cremation that is now available is water based cremation, or Alkaline Hydrolysis. This form of cremation is much more friendly to the environment then flame based cremation. Like flame cremation, water cremation can occur before or after a service, before or after a viewing, or without any service. Body donation is the donation of the body to a medical institution for educational purposes. Funeral services, memorial services and viewing of the body are all options when body donation is selected. Donating organs and tissue for transplant has no effect on the type of service that is available. The organ and tissue donation is usually completed in a hospital by a tissue procurement agency before we bring the body back into our care. When a death occurs away from home, we can help. 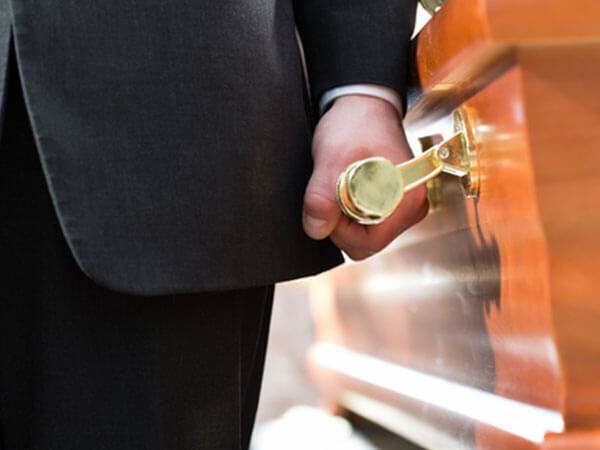 We are experienced in bringing home the body of individuals that have died while away. The main thing to remember is to call your home town funeral home so that we can arrange all the details for you from here. This eliminates a lot of the confusion, stress & excess expense of bringing your family member home. Embalming is the process of disinfecting and preserving the human body. This process typically uses formalin as a preservative, but we have a formalin free option for families that want a green option that will still allow for the body to be disinfected and preserved for viewing. Refrigeration allows for extra time after a death occurs for cremation or burial to occur when embalming is not desired. Minnesota law requires that without the use of refrigeration, cremation, burial or embalming must occur within 72 hours of the death. By use of refrigeration, that time is extended to 124 hours. This allows time for out of town family the opportunity to be present for burial or to view their loved one prior to cremation. Dingmann Funeral Care Burial & Cremation Services offers trained Celebrants to assist in creating a meaningful ceremony. Celebrants meet with the family and build a service from the ground up, using no template of format, allowing you the option to have a truly personal service. Celebrants may take part in a service instead of a minister, or may work with a minister, the choice is yours.